Septum piercings? - Cherry Colors - Cosmetics Heaven! A couple of days ago I was asking on twitter, what you thought of septum piercings. I got no real answer so I decided to move the question over here. The truth is, that two weeks ago I thought they were the ugliest piercings ever. 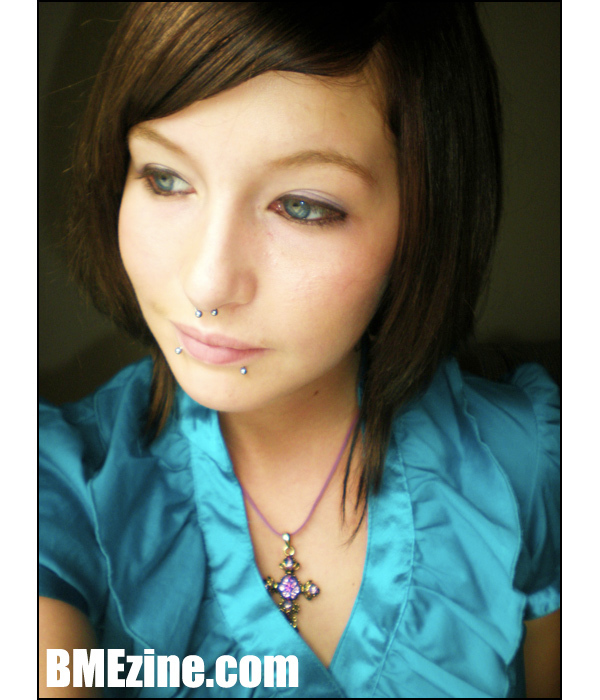 But then, after joining a piercing forum I realized they actually look really edgy and cool xD. I don't like the huge ones, but mostly the retainers or small ones you can flip back into your nose (with no harm, that's it). If I would get one, I'd definitely wear it hidden most of the time (school, work). Hmm.. I'm still thinking about it.. and I guess I'll think about it for a couple of months/maybe years more. Until then, here are some pictures I found on the Body modification blog and I thought they are actually really good looking. All the girls are super stunning and the piercing gives them a little 'ommph' factor. Cute and edgy. EDIT (2015): I finally did it! I finally got a septum piercing. For now it's still healing, but I am absolutely happy that I finally did it! I will write a separate post once it's healed and I will be able to switch from the retainer to some lovely jewelry!